This 5 Megapixel network camera is like no other on the market. 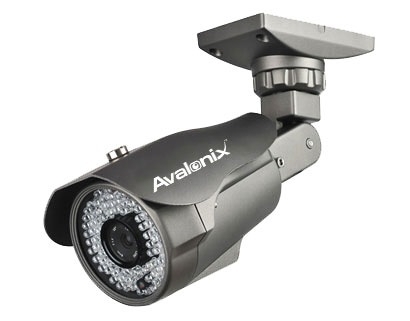 It is the long range night vision capability of this camera combined with a 5 megapixel image sensor. You can see general detail up to 300ft away with this camera. It can be mounted on a wall or ceiling thanks to its 3 axis vandal resistant bracket that prevents cable snipping. This is an IP camera that provides greater than HD 1080p quality video. If you are looking for a camera that provides a lot of detail like being able to make out a face up to 50ft away, then this camera is the right choice. You will need a NVR recorder to record the digital video stream coming from the camera. Please use one of our NVR recorders to record this camera. It also comes with a Free PC recording software that you can use to record multiple cameras. You can also use this camera as a web camera to keep a watch on things happening live, without ever recording. The camera can be connected directly to most 3rd part ip camera apps available on the iphone and android platforms. If you are a techie, then you should know this bullet ip camera is also ONVIF compatible, so you can record the video stream with your existing NVR. Success with and NVR not purchased from us is variable as it depends on how compatible your NVR is. Do I need a NVR to operate the camera? You don't need a NVR to view this camera. Like all of our network cameras, You can use internet explorer to view the camera, or pickup a copy of blue iris to tap in to the rtsp stream of the camera. 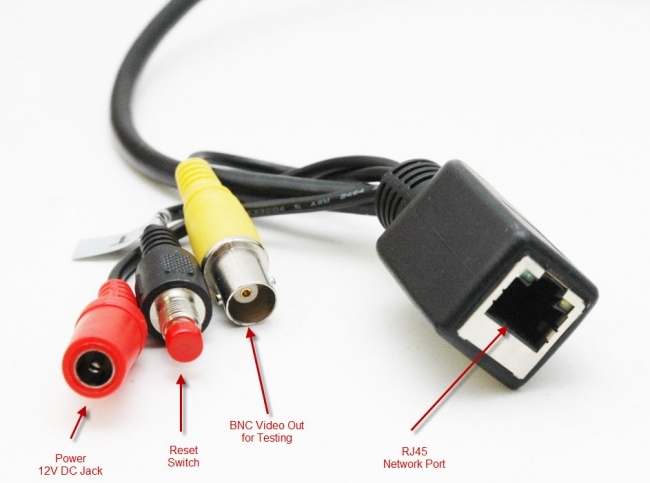 If you intend to power from a poe switch, be sure to purchase a poe splitter.